Barrier Foil Rolls protective packaging preserve your product from moisture, gases and UV damage. They prevent the moisture to get into your package in the first place. As a result, Barrier Foil Rolls safeguard packaging’s performance. Therefore, our B-Sure barrier foils ensure your products’ shelf life stability. We can offer printed pouches in several formats: stand up, lay flat, zip-lock and tear-notch. We also have a range of printed foil rolls suitable for automated high speed production lines. In addition to this, our Barrier foils can be printed in 8 or more colours, as per our customers’ requirements. B-Sure barrier foils are safe, because they meet FDA and EU food contact legislation. Once packed, your products will be protected against moisture damage, oxidation and UV degradation. In addition to this, our B-SURE FOILS™ will prevent the ingress of odours, and preserve the organoleptic properties of your product. Therefore, your products will be in safe hands with Baltimore Innovations! We work with a number of the world’s leading companies – so come and work with us! Industrial We supply large foil bulk-storage bags and pre-printed foil roll-stock for automated production lines. 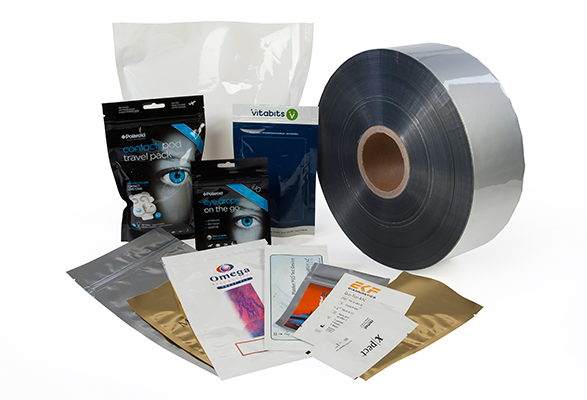 For help with your barrier foils requirements or any other problems that you have, please give us a call on +44 (0)1628 531900.